“Anglo American has taken advantage of booming commodities prices to boost its interim pre-tax profits by more than two-thirds. A flight to safety among nervous investors has driven up prices for precious metals and diamonds, buoying first-half revenues by more than a fifth at the FTSE 100 miner and prompting Anglo to increase its dividend by 12 per cent. Strong demand in China has also pushed up prices for iron ore and copper, helping Anglo shrug off the weak US dollar and harsh weather conditions in South Africa and Australia, which included the extensive flooding in Queensland earlier this year. Good financial performance was offset by very poor safety performance: the group recorder 10 fatalities in the last 6 months (8 in the platinum business). $450mln of the revenues (11%) are achieved in De Beers’ diamond business. 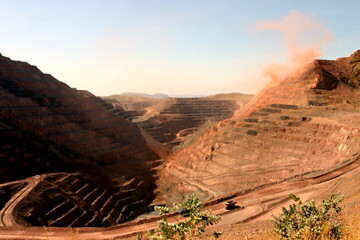 Iron ore & Manganese (26%) and Platinum (23%) account for the largest share of Anglo’s revenues. Iron ore & Manganese (29%) and Copper (28%) bring in the largest part of the earnings, driven by particularly high commodity prices. Focus of Anglo American’s presentation was on expanding production (capex of $2.3bln for 2011H1 with pipeline of $66bln) and on cost control. The company’s operating profit compared to the same period last year suffered from $500mln higher cash costs. Input cost pressures were explained in detail in the investor presentation (see below) For each product the management presented initiatives for cost reduction. Iron ore volumes (-12%) and metallurgical coal volumes (-19%) were down compared to the same period in the previous year, caused by weather disruptions that put BHP Billiton and Rio Tinto in the same position. It will be interesting to see the method of reporting the volumes next year if production can go on without interruptions. Higher volumes will then most likely be presented as significant achievements, without any mention of the disruptions of this year.